That one was a ripper! Agree on 3 down, never heard of it. I remember this one got a lot of complaints of Cracker.com.au when it came out, with people complaining they weren’t Bob Dylan fans so how could they be expected to know this stuff. None of it seemed very obscure to me. What do people think? 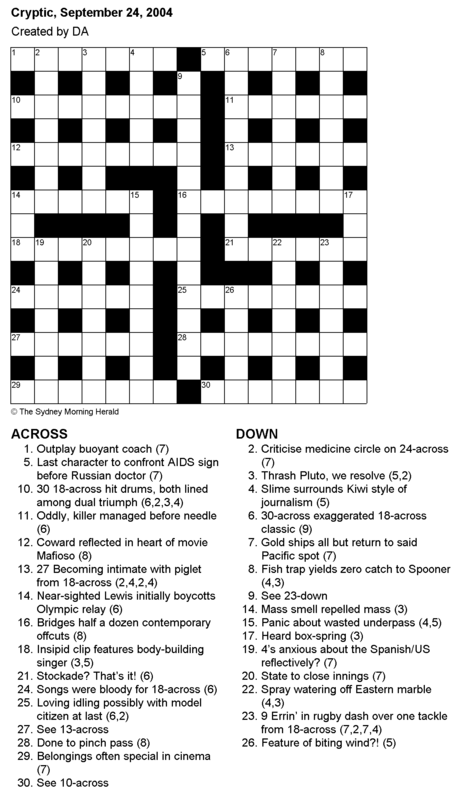 Agree – ripper crossword! I really liked 12A, 14A, 23D (this last clue did require knowledge of the rugby term “knock on”). Took me a while to get the all-important 18A. I don’t know/remember much about Dylan so I had to use Google to jog my memory on some of the references. “Blood on the Tracks” and “Hurricane” were the only ones that were obscure for me. Thought 10A/30A was a bit tortured – “drums” as anagram indicator for “both lined”; with “win” thrown in twice (indicated by “among”). 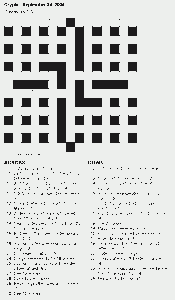 22D: Another obscure (for me) marble clue. We had “dib” a week ago, and “ring taw” in this one. Ian, thanks. i was thrown by “confronts” and “sign”. I take it the former is just a filler word? and the latter is part of HIV somehow? Just finished here, and enjoyed it – bit of a Bob aficionado, so no problems there. “Ring taw” – I faintly remember that term from nigh on fifty years ago, but I’d agree it’s obscure. On the other hand, “towel up” may be a bit old-fashioned, but I’d probably use it myself from time to time. (Draw your own conclusions.) I’m surprised it’s obscure to two others above. mic, “confront” is kind of filler, to the extent that the wordplay would be valid without it. But it does carry a sensible meaning that keeps the integrity of the wordplay and to me just makes the clue read more smoothly. HIV is an “AIDS sign” in the sense that it’s a forerunner of AIDS and its presence signals the presence or possible future onset of AIDS. Can someone explain the wordplay of 25A for me?